Through the smoldering ruins of the most recent healthcare financing reform effort we see the faint outlines of a transpartisan approach to health care. 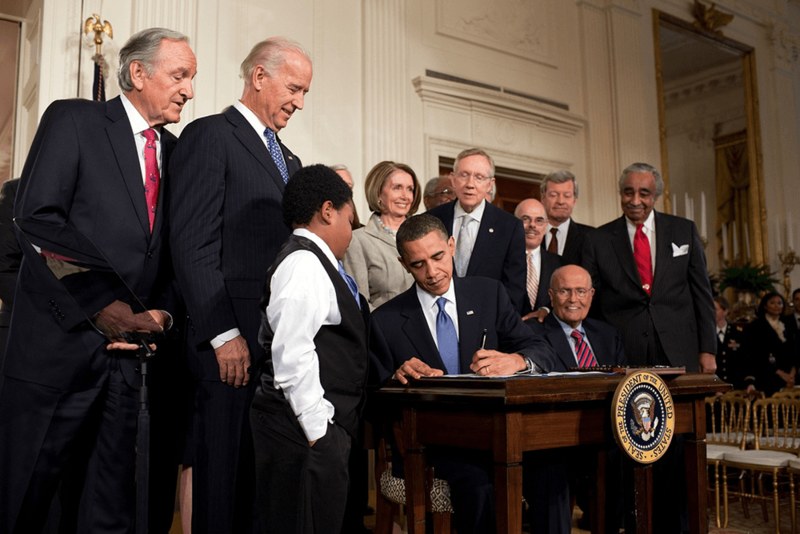 Former President Barack Obama issued a statement on the 7th anniversary of passage of the Affordable Care Act (ACA), one day before current Congressional Republicans pulled their proposed ACA ‘repeal and replace’ bill from the House floor. I’ve always said we should build on this law, just as Americans of both parties worked to improve Social Security, Medicare, and Medicaid over the years. . . . But we should start from the baseline that any changes will make our health care system better, not worse for hardworking Americans. That should always be our priority. Look, we got no Democratic votes. We got none, zero. After his health care financing failure, House Speaker Paul Ryan said we need to learn ‘what we could have done to do it better’. Ohio Governor John Kasich, the last Donald Trump primary opponent, said ‘Trump needs to work with Democrats on health care.’ Senator Bernie Sanders asked the President to consider pending Senate legislation lifting the ban on federal health programs negotiating drug prices. ‘White House: Trump is serious about working with Democrats’, writes The Hill. ‘Republicans and Democrats need to work together on healthcare,’ says Senator Lindsey Graham (R-SC). Maine Republican Senator Susan Collins, after opposing the House bill, urged Democrats and Republicans to work together on health. Bipartisan serves as word of the day. We see transpartisan—bipartisan expanded—more likely to work than bipartisan alone. By transpartisan we mean recognizing the tension in both parties between members seeking order—the leadership, the establishment, the elite—and the agitators for freedom—the freedom caucus, Bernie Sanders, and, in his populist guise, President Trump. To us transpartisan means a sound health plan incorporating interests from all four quadrants—free right and left and order right and left. See the Transpartisan Matrix. Large numbers, probably well over fifty percent, of Americans use complementary, alternative, integrative, natural healing—paying billions for nutrition, chiropractic, massage therapy, acupuncture, and over 100 other recognized health modalities—as part or all of their personal health promotion efforts. Virtually none of these health approaches formally appears in the current health care financing system of government and insurance company payments for drugs, surgery, radiation and diagnostics. We believe the absence of the voice of these consumers from the health financing debate accounts for a significant amount of the dissatisfaction with both the ACA and its offered replacement. Too many voices not heard. These numbers track voter turnout for the 2016 presidential election. President Trump is a minority president. The vast majority of eligible voters did not vote for Trump—66 million voted for Clinton and 90 million stayed home, 63 million voted for Trump. This need not be a crippling factor. Thomas Jefferson squeaked into the White House after a tied Electoral College vote and 36 Congressional ballots and went on to have a consequential presidency. We think a transpartisan process will strengthen any policy deliberation. Non-voters affect daily politics. Office holders write them off at their peril. At a minimum, current office holders need to consider how their actions might provoke previous sideliners to vote and how. We think this form of ‘survival anticipation’ played a key role in the failure of the ACA replacement. The health financing bill failed to integrate the interests of the four quadrants—liberal and progressive Democrats and order and freedom Republicans—and, for that reason, we suggest, failed to become law. When the four quadrant interests integrate the natural healing community and other underrepresented populations into the health care financing discussion, the nation will take the next steps toward a workable—and we would say transpartisan—national health policy. Through the haze we see the outlines.